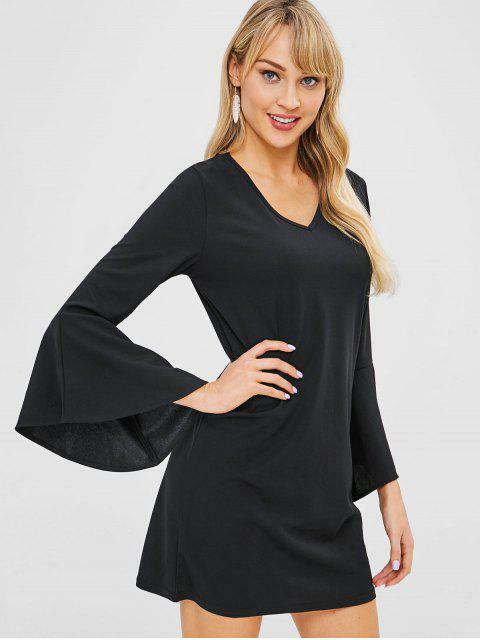 [25% OFF] 2019 V Neck Bell Sleeve Mini Shift Dress In BLACK | ZAFUL ..
Not see-through which I am really happy about. The whole dress is knitted thoroughly and made of thick, stretchy material which make the quality great. Happy about my buy! 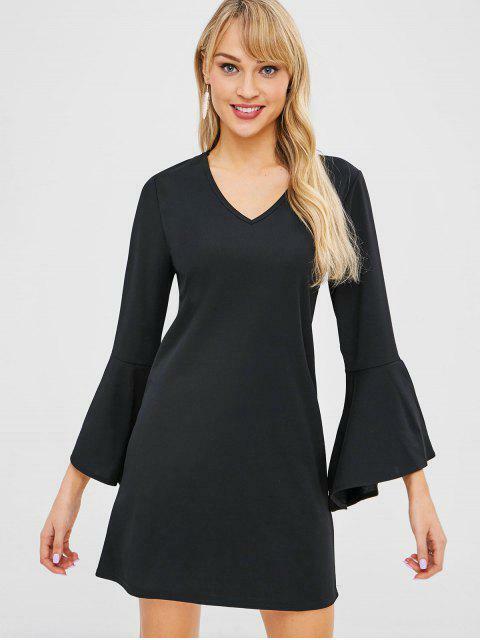 Add a dose of drama to your day look with this shift dress with flared cuffs. 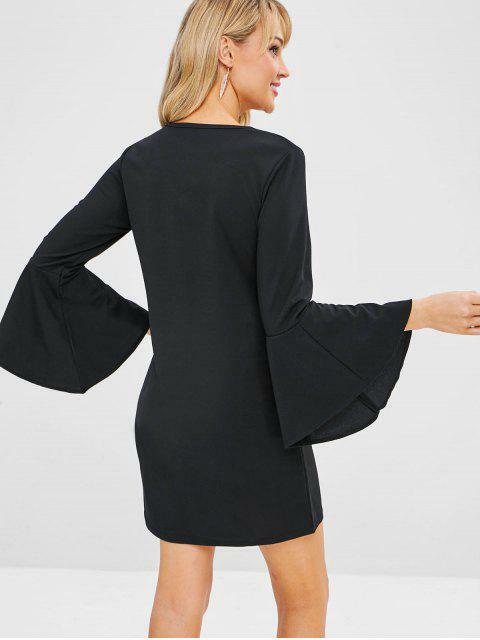 It features a soft jersey fabric, a flirty v collar, long sleeves with bell cuffs, a mini length, and a straight cut.